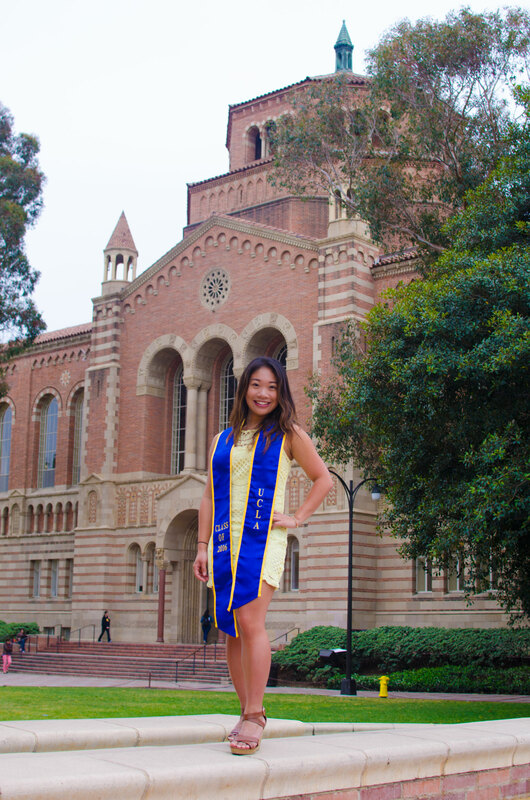 As an international student, Lam’s life has been a series of adventures, from growing up in Hong Kong to moving to Australia when she was 16 to ultimately choosing to come to UCLA to double major in psychology and Ancient Near East and Egyptology. In Australia, Lam said UCLA was not on her radar until her final year of high school when a college counselor came to offer information about applying to US colleges. After that, Lam said she would lay awake at night, too excited at the prospect of attending school across the world to sleep. When it came down to finally choosing a school, Lam said UCLA won for the weather, laid-back Los Angeles culture and internationally-recognized academic reputation. Lam’s interest in majoring in Ancient Near East and Egyptology stemmed from a childhood curiosity of mummies and pyramids, longtime love of the Discovery Channel and fond memories from a family vacation to Egypt when she was a teenager. Seeing the pyramids firsthand, the 5’1’’ undergraduate was amazed to find that the building blocks stood even taller than she was, inspiring her with the innovation and grandeur of ancient civilizations. When Lam discovered that UCLA’s Egyptology department included classes taught by Professor Kathlyn Cooney — who produced a Discovery Channel show Lam used to watch called “Out of Egypt” — she knew she had to to keep her childhood passion alive by enrolling in the Egyptology major. Lam pursued one of her first psychology research engagements in 2014 as an assistant on a bicultural counseling studies project with the Department of Psychology. Her research involved uncovering how Asian Americans and European Americans differ in their experiences of guilt in instances of social and academic failure. As an individual of Asian heritage herself, this project was particularly close to home, and she presented her findings in a poster presentation at the 2015 Psychology Undergraduate Conferences at UCLA and Stanford University. 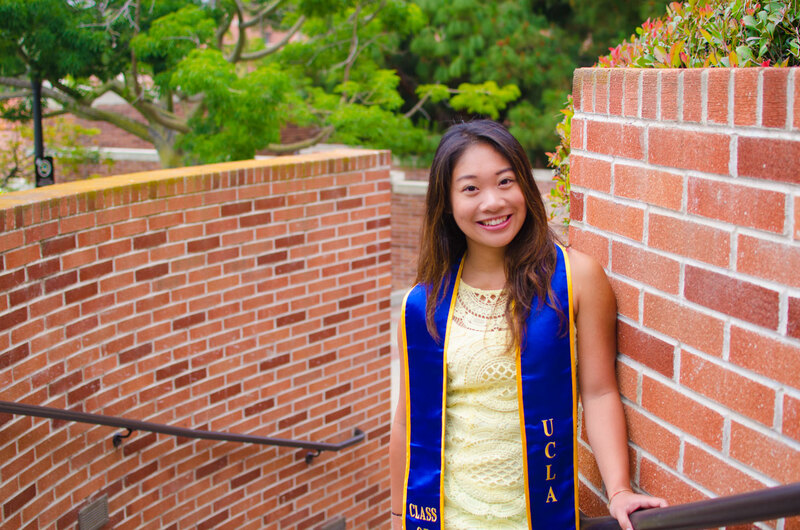 Continuing to delve into psychology, Lam became involved with the highly selective Fernald Child Study at UCLA as one of 12 research interns. This experience was Lam’s first introduction to working with children with intellectual disabilities like autism, a passion Lam has continued with in her most recent work at the PEERS Clinic with the Semel Institute at UCLA. As a research assistant and volunteer, Lam is part of a team offering counseling to children, teenagers and young adults on the autism spectrum, and she personally helps score and verify outcome measures from PEERS counseling sessions. Outside the lecture halls, the research labs and conference panels, Lam said her most valuable learning experiences have come from travel. “The more I travel, the more I feel, and the more I realize there’s so much I still have left to learn,” Lam said. As a child, Lam often traveled with her parents to Japan, Malaysia and Korea. Two years ago, Lam started traveling on her own, relishing in the experience of having no set itinerary and being free to wander a new country at will. She has climbed Mount Fuji and Machu Picchu, sipped mango juice in Cairo and gotten blissfully lost in the train stations of Osaka. Spontaneous experiences are her favorites, and while embarking alone through Japan last year, Lam met several Japanese girls passing through the same hostile she was at, and they ended up becoming friends and white water rafting together down the torrential rivers of Kyoto. Upon graduation, Lam will set out on her next adventure in a year-long Japan Exchange and Teaching Program before attending graduate school for psychology. She said she still does not know exactly where in Japan she will be placed yet, but she specifically requested to be located in the countryside rather than a city to have the opportunity to soak in a rural, authentic experience of a foreign country.